I have been competing in triathlons since 2003 and have been coaching triathletes and runners since 2008. I have coached people who are just starting to run, all the way up to those who have done multiple Ironman races. I believe that anyone can be an athlete, and I don't believe in setting limits. I received my BS in Exercise Science from Bastyr University in 2008 and shortly after received my USAT level 1 certification. 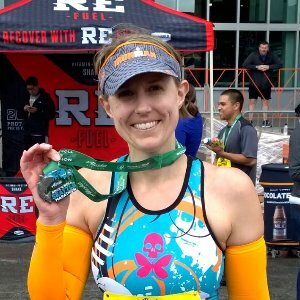 I have raced in over 100 races, everywhere from 5K's to marathons, sprint to Ironman distance triathlons, open water swim races, as well as metric and full century mile bike rides. I believe that you have to find a balance between regular life, and your training, and I pride myself in designing plans around that. Success. Coach Michelle Ohlson has been notified of your message.